Even the most seasoned golfer will find unique challenges on this course. 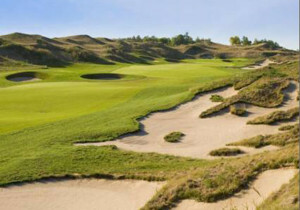 The features that golfers are most likely to remember about a round at Eagles Nest are its undulating fairways and uneven lies, the nasty revetted pot bunkers, the massive sand scars and fescued dunes. The course changes character on Holes 3 through 7, plunging into the valley formerly known as the Honey Pot Ski Centre. Dramatic elevation changes and forested valley slopes covered with towering white pines are the back drops for these holes. Evoking memories of the very origins of the game, this absolutely stunning links layout, crafted by renowned golf course architect Doug Carrick, is an exquisite blend of tradition, nature and design. Whether impressing clients or hosting your company tournament, our attention to minute details will make the difference and make your visit memorable. 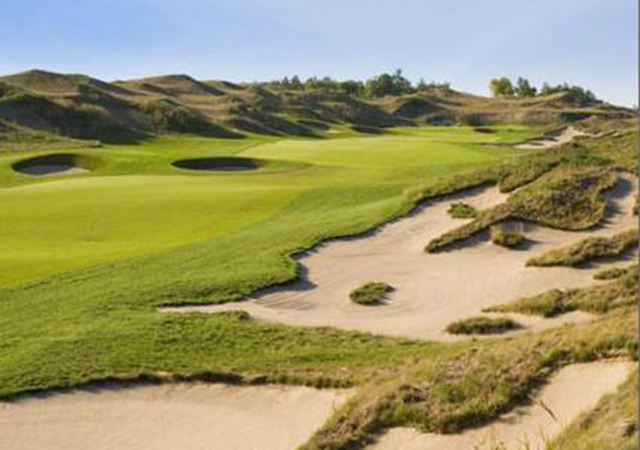 A perfect blend of rugged sand dunes, sod wall bunkers, fescue grasses and fickle breezes makes every round at Eagles Nest Golf Club truly memorable. For more information, call us at 905-417-2300 or visit our website.